‘Emmène-Moi‘ is one of those songs that I must have listened to so much as a kid, that today I can still sing along to every word of it. And to be honest, I still think it is completely amazing. 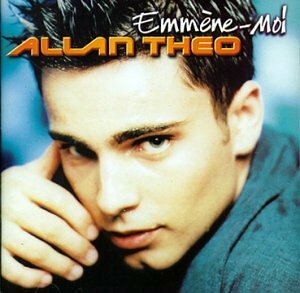 Allan Théo is a French singer who hit it big in 1998 with this Frenglish song. He had another French top 10 hit from his debut album with ‘Lola‘. There’s a bit of a depressing tale on Wikipedia of self-financed follow-up projects which had him sell his house, only for it all to go wrong. However, all’s well that ends well, as these days Allan is said to be a banker who is still doing music on the side. His website promises a new album very soon. – Charley says GUEST VIDEO BLOG! Kyrah says POP! Would you guys want to see the Flemish charts on Charley says POP? In Belgium the charts are called the Ultratop. There’s a very useful and complete website online, which I can absolutely recommend. It exists in both a Flemish and a Walloon version, as each of these regions of Belgium has their own charts. Be sure to check out the official Ultratop site for the full thing, but here I’ll be pointing out each week’s top 10, all Belgian songs that have charted in the top 50 and all Belgian entries on the Ultratip, which is our equivalent of the Bubbling Under chart. The Belgian charts are excruciatingly slow, so we’ll see how these posts work out over some time and evaluate. For now, you’ll find this week’s Flemish chart information, after the jump!